What a great year! We are so proud of you all!! You can be right here next year! 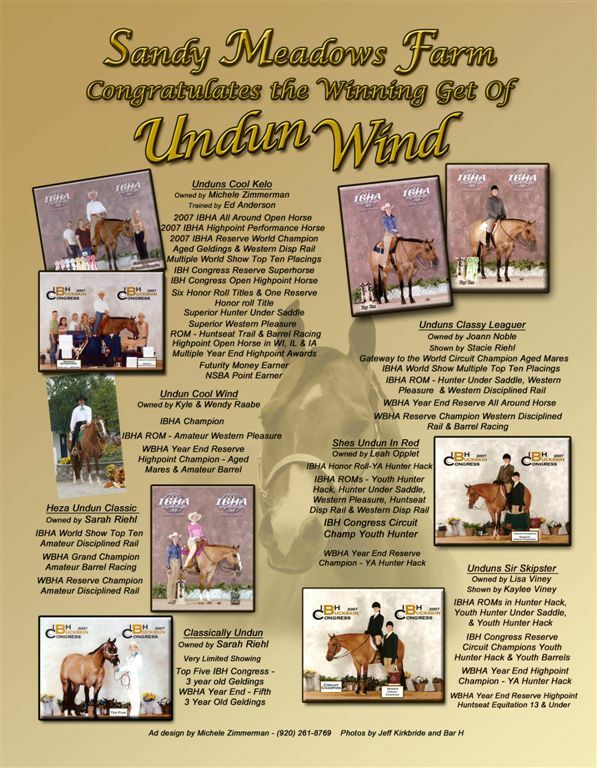 Buy an Undun Wind (see our Horses for Sale page) or breed your good mare to Undun Wind!